Henry and I have traveled north on Georgia Highway 15 between Greensboro and Athens at least once a year for over 40 years. And for over 40 years, the first one to see the Iron Horse in the middle of a cornfield north of Greensboro shouts “I see the horse”! When the corn is tall the only part of the horse that is visible is the head. The rest of the year he is easy to spot. I love the story about how the horse came to be in that cornfield. 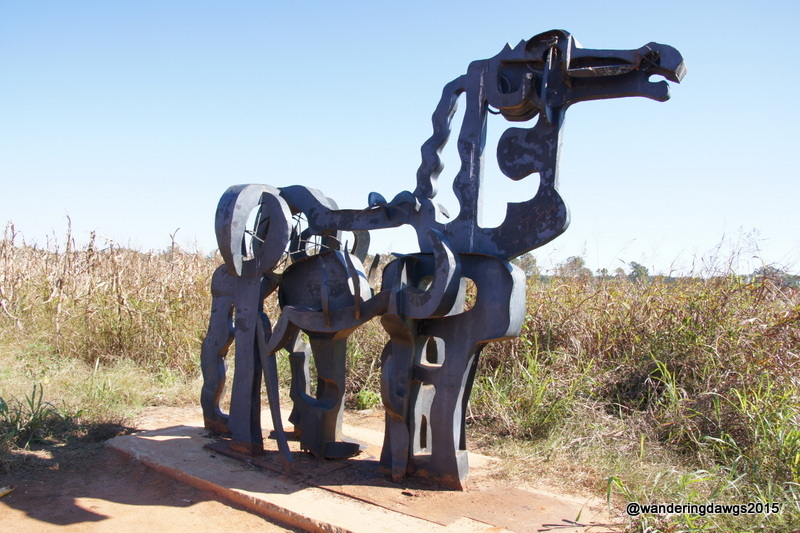 The horse was created by Abbott Pattison and was originally placed on the campus of the University of Georgia in Athens in 1954. 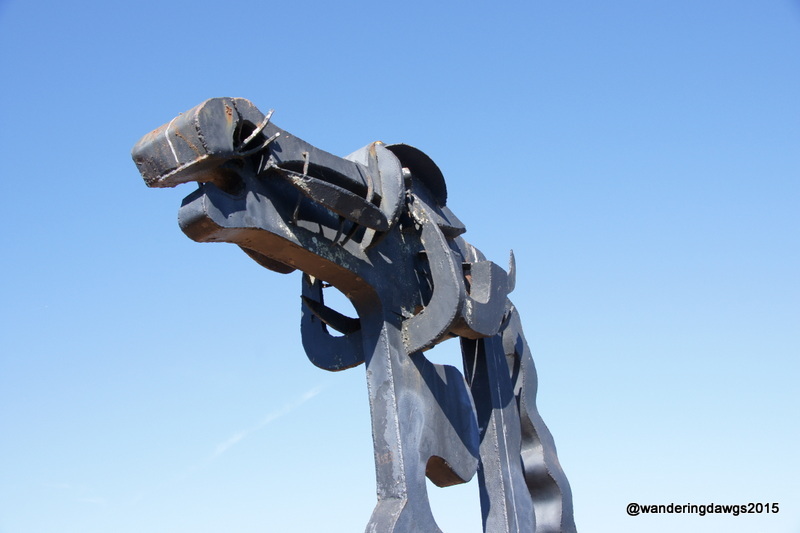 Students frequently vandalized the sculpture so a professor in the agricultural department agreed to set the Iron Horse up in the middle of his cornfield about 20 miles south of Athens. The farm today has been renamed the Iron Horse Plant Sciences Farm and is a part of the University of Georgia’s research farmland. The previous owners of the land have retained ownership of the Iron Horse. The University of Georgia granted an easement to the sculpture so people like me could get close enough to admire the horse and take pictures.